^ a b c d Benno, van Dalen (2002). Ansari, S.M. Razaullah (ed.). 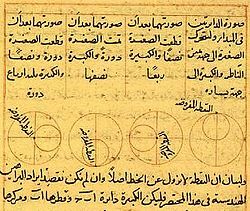 Islamic Astronomical Tables in China: The Sources for Huihui li. 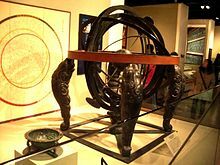 History of Oriental Astronomy. Astrophysics and Space Science Library. 274. Astrophysics and Space Science Library. pp. 19–32. doi:10.1007/978-94-015-9862-0. ISBN 978-94-015-9862-0. Retrieved 11 November 2016. ^ Subtelny, Maria E. (2010). "Tamerlane and his descendants: from paladins to patrons". In Morgan, David O.; Reid, Anthony (eds.). 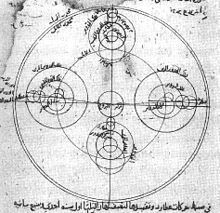 The New Cambridge History of Islam, Volume 3: The Eastern Islamic World, Eleventh to Eighteenth Centuries. Cambridge: Cambridge University Press. pp. 184–5. ISBN 978-0-521-85031-5. ^ a b c vande Walle, Willy (2003). vande Walle, W.F. ; Golvers, Noel (eds.). The history of the relations between the Low Countries and China in the Qing era (1644-1911). Leuven University Press. p. 38. ISBN 978-90-5867-315-2. Retrieved 11 November 2016.